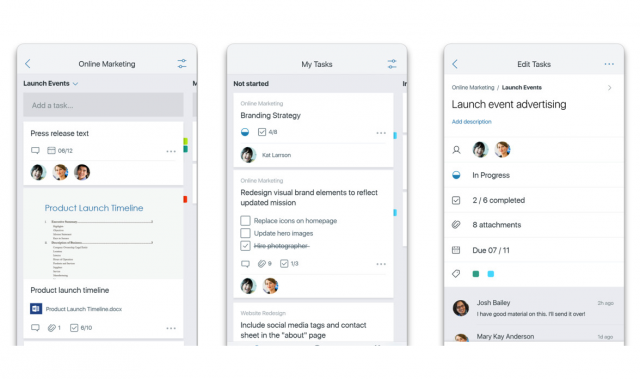 Office 365 officially received a project management tool, called Planner, in June 2016, but it is not until today that Microsoft introduces an accompanying mobile app. And the platform of choice for the first Microsoft Planner app is iOS. When Microsoft publicly launched Planner, the software giant said that there will be apps available for Windows and Android devices too, but there is no announcement regarding the support for the other two platforms. Hopefully, that will happen at some point in the near future. Android is a given, considering its reach, and so should Windows 10 Mobile be, since Microsoft still wants to support its troubled platform (or give that impression). But, since right now the focus is on the iPhone, let's talk about what Microsoft Planner has to offer. First, the app is meant for Office 365 subscribers only -- and commercial users at that. It's designed to make it easy for a team to "create new plans, organize and assign tasks, share files, chat about what you’re working on, and get updates on progress." You have boards for each plan, which you can use to manage tasks into buckets. Tasks can be organized based on status or assignee. All the tasks and their status can be seen in the My Tasks view. You can add photos to tasks, and talk with fellow team members regarding them. To give Microsoft Planner a try, click this link to go to the app's App Store landing page.